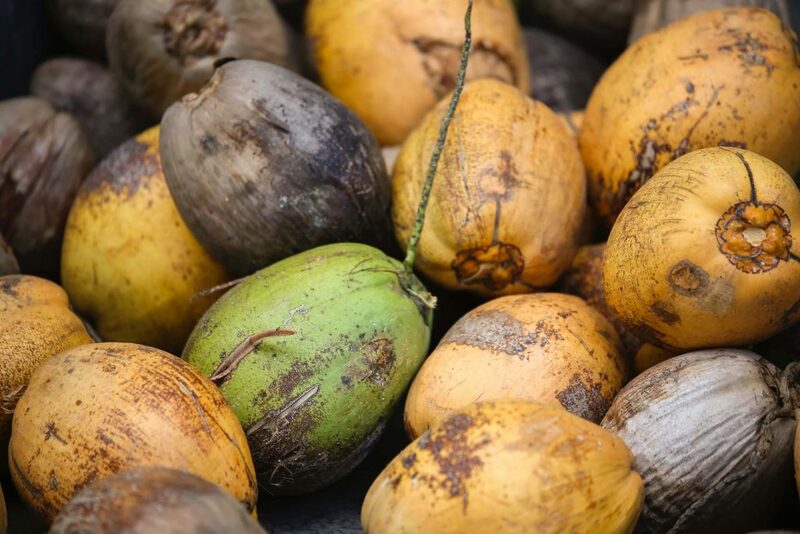 There has been a lot of confusion about whether coconut oil is a healthy part of most diets since the American Heart Association’s report advising limiting its use. Coconut oil is over 80% saturated fat, compared to olive oil, which is less than 15% saturated fat. That’s why coconut oil is so shelf stable and can be used for high heat cooking. But that doesn’t mean it’s unhealthy. Coconut oil is made up of medium chain triglycerides which the body uses differently, and which helps burn fat. But it is high in calories, so you can’t just eat a lot of coconut oil and expect to lose weight. But you can eat a little and expect to burn fat. The American Heart Association’s report was focused on Coconut Oil as a saturated fat that can raise total cholesterol. The ratio of LDL “bad” cholesterol to HDL “good” cholesterol is the best measure of cholesterol risk. When LDL is high and HDL is low the risk increases. Healthy fats like coconut oil increase HDL and help the body burn fat. The scariest part of the AHA’s report is that it recommended eating more corn and soy oil – both of which are usually genetically modified and may contain pesticides. And, a 2016 study showed that replacing saturated fats with vegetable oils like canola, corn and soy increased the risk of heart disease. There’s also some evidence these fats can increase the risk of breast and prostate cancer. Coconut oil seems to have benefits for brain function. An increasing body of research shows that its use is beneficial for a diverse population of people, including those with Alzheimer’s, dementia and autism. But it definitely is not a freebie food that should be consumed without limits. Using it intentionally – in coffee or a smoothie in the morning or in high heat cooking gives it a place in the diet in moderation. It’s also important that you use virgin coconut oil and not hydrogenated or refined coconut oil. The virgin oil is the kind that you find in jars – usually organic – in the health food section of the grocery. Hydrogenated coconut oil is used in processed food like corn and soybean oil. Refined or hydrogenated coconut oil is used in products like cookies, crackers, cereals, doughnuts, margarine, french fries, salad dressings and other condiments. Foods containing any hydrogenated oil, including coconut, should be avoided. Replacing most saturated fats with fats from nuts and seeds, olives and avocados instead of replacing them with calories from refined carbs and sugar seems to make a lot of sense. Sugar, hydrogenated oils, high fat meat, processed meat and grains and other foods cause inflammation which is at the root of all disease – heart disease included.